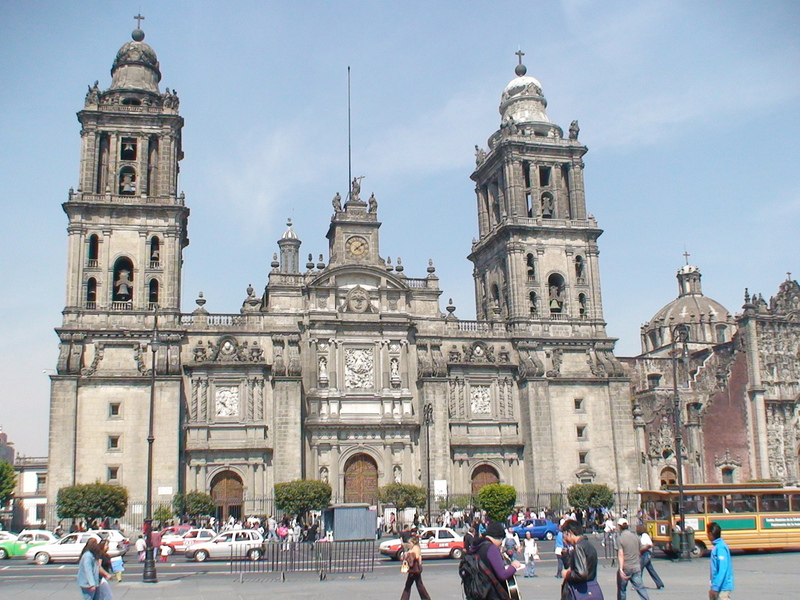 One of the largest cities in the world, Mexico City is the capital of Mexico on the North America continent. It is also one of the most populous cities of the world. It also has the distinction of having the maximum number of museums in the world. Tourists often refer to the Mexico City as the ‘city of palaces.’ This is because of the numerous State buildings that can be found in this capital city. Mexico City has a rich historical past, and these signs of its great past are almost everywhere to see. One of the most important areas of the Mexico City is Plaza de la Constitucion. Counted among one of the largest squares in the world, this city landmark is surrounded by several historic buildings. One can also find the Mexico Cathedral in its vicinity. 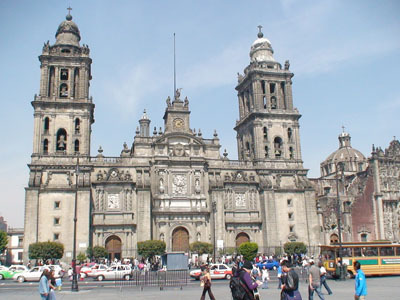 The Mexico Cathedral is the biggest one of its kind in South America. But what really attracts the tourists to this spot is the fact that it is its magnificent architecture. The oldest cathedral in all of South America, one can see a combination of architectural styles in this building. Tourists in Mexico City also flock to Basilica de Guadalupe. This place is considered to be one of the holiest places by the Catholics all around the world. The Basilica de Guadalupe sees pilgrims in large numbers around December 12 every year. This shrine is also said to guard the shroud of Our Lady of Guadalupe. After touring all the major places of interest in Mexico City, you can sit down and enjoy a panoramic view of the capital city by going to the top of Latino Americana Tower. This is also a very important landmark in Mexico City. Away from the cultural sights of Mexico City, if you want to see its historical sights, then you can visit the Xochimilco. The Xochimilco is a huge network of waterways and flower gardens built by the Aztecs. Here, you can have a closer look of the waterways by riding on the trajineras or ‘vividly-colored boats.’ The Xochimilco was declared a World Heritage Site in 1987. For some more insights into the Aztec civilization, you can visit the Temple Mayor Museum, which houses some of the last remnants of this great civilization. Connoisseurs of Latin Art can visit the Museum of Modern Art, where they can enjoy works of the famous Mexican painter, Frida Kahlo, apart from other known painters such as Leonora Carrington, and Remedios Varo. You can round off your visit to Mexico City by enjoying authentic Mexican cuisine including Tacos al pastor, Enchiladas Suizas, and Quesadillas, while the famous Mariachi Band plays for you alongside.